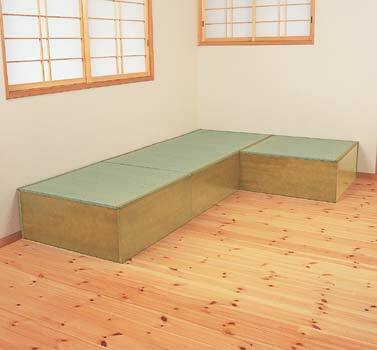 We offer you warmth and softness of Japanese style; Tatami. This product also serves as a storage box. 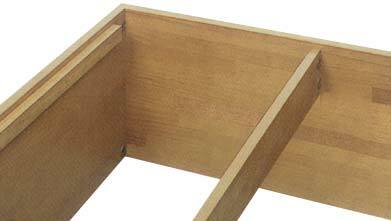 “Tatami section with storage box” is a new type of product. 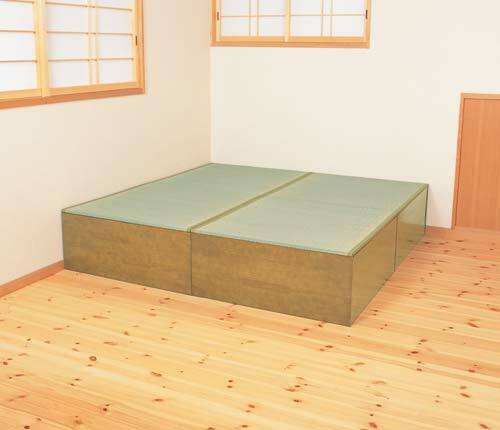 This is our proposition for you that creates new flooring space with this tatami unit with storage box. 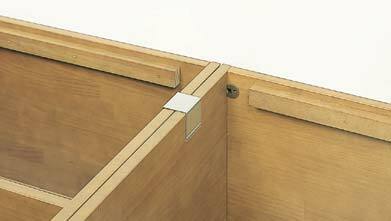 ●This product creates a new storage space. ●Easy assembled with only a single screw driver. 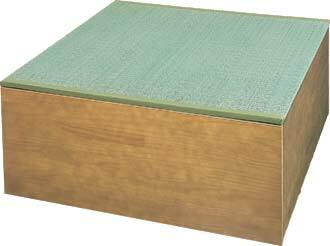 ●This material contains Monterey Pine laminated lumber with urethane paint. ●Our tatami is made of natural rush. ●It never make scratches on the floor with our non-slip sheeting.